Discounts off AWP, guaranteed rebate dollars per eligible claim or low administrative fees are simply a means to an end. The most important number to calculate is your PBM service fee. 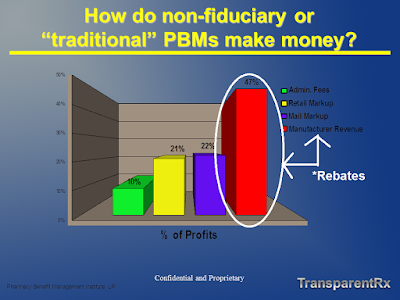 It is determined, in large part, on how adept a plan sponsor is at uncovering hidden PBM cash flows. If you're a self-funded employer, broker or consultant who still determines whether or not you won fair pricing based primarily on AWP discounts or guaranteed rebate dollars you're mired in the status quo thus are vulnerable to excessive overpayments. Those self-funded employers who demand full disclosure of PBM service fees and will not accept anything less are doing exceptional work. Uncovering PBM service fees allow you maybe for the first time to see how much your PBM service actually costs which is not the same as your pharmacy plan costs. 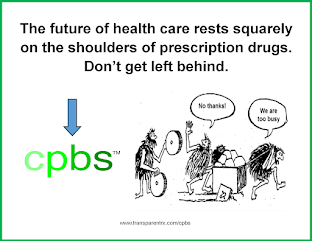 Hidden in your pharmacy plan cost is the PBM service fee. It's time to start pulling this number out. Insurers are not blameless. They also try to buy business, creating unnecessary transaction costs in the process. For instance, employers typically hire brokers and consultants to advise them on coverage for their employees. Given the complexity of insurance plans, seeking such help is usually a rational decision. But the hidden fact is that these middlemen, in addition to fees from their clients, are taking side payments from insurers up to 16 percent of the premium – clearly designed to bias their recommendations to employers. 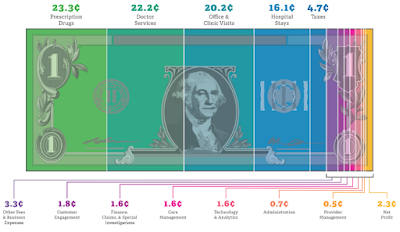 These payments are another case of unproductive transactions costs that can be eliminated by bargaining directly with insurers and drug companies.